Copyright 2015 The Dallas Morning News. All Rights Reserved. Wall Street’s hunger for new restaurant stocks pushed another North Texas brand beyond its initial public offering price. Dallas-based Fogo de Chão Inc., a Brazilian-themed full-service restaurant chain, debuted Friday on the Nasdaq after pricing late Thursday at $20 a share. The initial price was above the earlier stated range of $16 to $18 a share. The stock closed at $25.75, up nearly 30 percent. Fogo de Chão is the second North Texas restaurant chain to go public in a week. Last Friday, stock in Dallas-based Wingstop soared in that company’s first trading day, gaining 61 percent from the initial offering price of $19 a share. Before that pricing, the high end of that company’s range was $14. Fogo chief executive Larry Johnson thinks consumers are drawn to his chain because of the value proposition, the ability to have an affordable “white tablecloth experience.” That in turn “resonates with investors,” he said as the stock price continued its day-one climb. Johnson said he thinks investors will take note of the brand’s growing popularity and acceptance by different age groups. The company’s 26 U.S. locations, which range in size from about 7,500 square feet to 10,000 square feet, bring in about $8 million each annually on average. The company expects the store count to grow by at least 10 percent each year, with Fogo eventually launching at least 100 U.S. locations. Johnson offered no timetable for the full buildout. 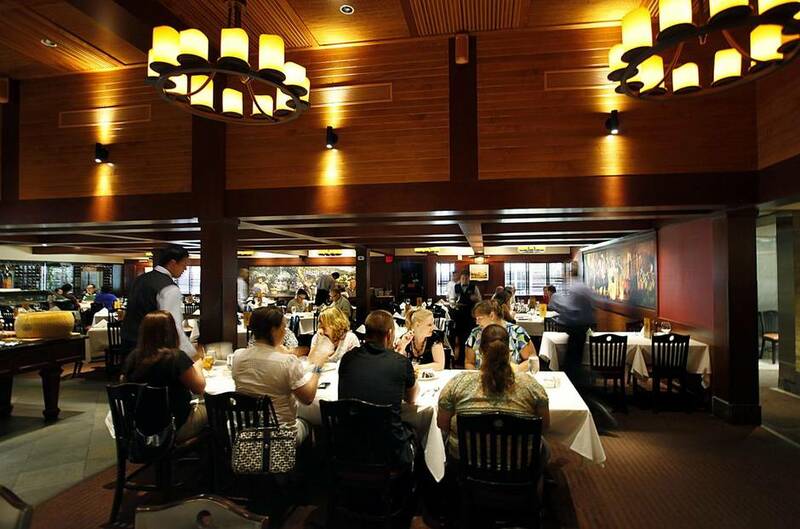 No new locations are planned for North Texas this year, but next year Fogo plans to appeal to carnivores in Uptown, which already is home to several popular steakhouses including Morton’s and Perry’s Steakhouse & Grille. The company, which is owned by affiliates of Thomas H. Lee Partners, sold 4.41 million shares in the IPO. Lee Partners retains control of the company. Fogo de Chão, which came to the U.S. in 1996, is the latest restaurant chain to whet Wall Street’s appetite. PrivCo, which provides financial data on privately held companies, listed four restaurant IPOs this year, each of which posted a significant first-day pop. Each one – Shake Shack, Bojangles, Wingstop and Fogo – was priced at about $20 a share. Burger joint Shake Shack closed at about $46 during its market bow, and jumped to more than $92 in May. Many investors are trying to find the next Chipotle. The Mexican-themed fast-casual chain went public in 2006 at $22 a share and closed the first day at $44 a share. The stock closed Friday at $614.22. Unlike most of those chains, Fogo de Chão is a full-service restaurant, rather than fast food or the current industry darling, fast casual. Johnson noted that his chain’s average sales per location are much higher than those for a fast-casual concept. The flip side, noted Sam Hamadeh, founder and chief executive of PrivCo, is that expenses are higher at a large full-service restaurant. Darren Tristano, executive vice president of Chicago-based Technomic Inc., a restaurant research firm, thinks the success of fast-casual IPOs is helping fuel growth of other restaurant stocks. This entry was posted on Wednesday, July 1st, 2015 at 3:41 pm and is filed under Economy, Fast Casual, Financial Activity, Growth. You can follow any responses to this entry through the RSS 2.0 feed. You can leave a response, or trackback from your own site.